Coaster Holder - Unique gifts and corporate services. Wooden slotted coaster holder for four coasters. Suitable for all coasters. 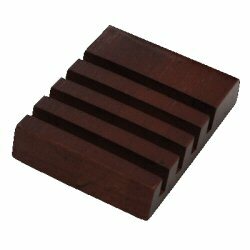 Available in dark wood mahogany effect.